Preparedness is key in wilderness survival. This doesn’t mean just having the right tools on hand, but knowing how to get around and make use of your surroundings when you’re out in the wild. 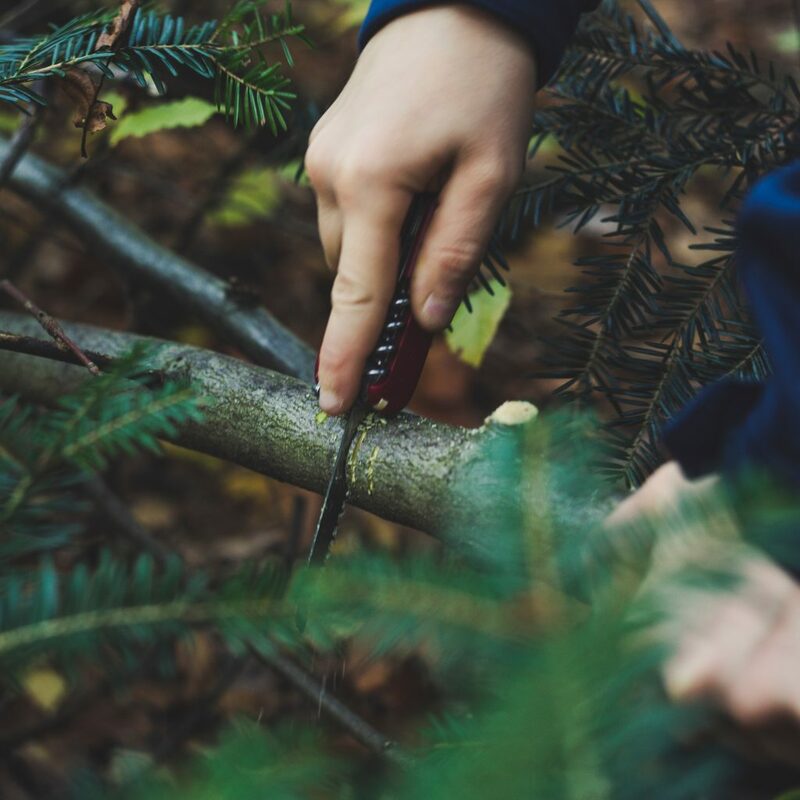 With these 10 basic forest and wilderness survival tactics in mind, you’ll be just that much more prepared to face the great outdoors. 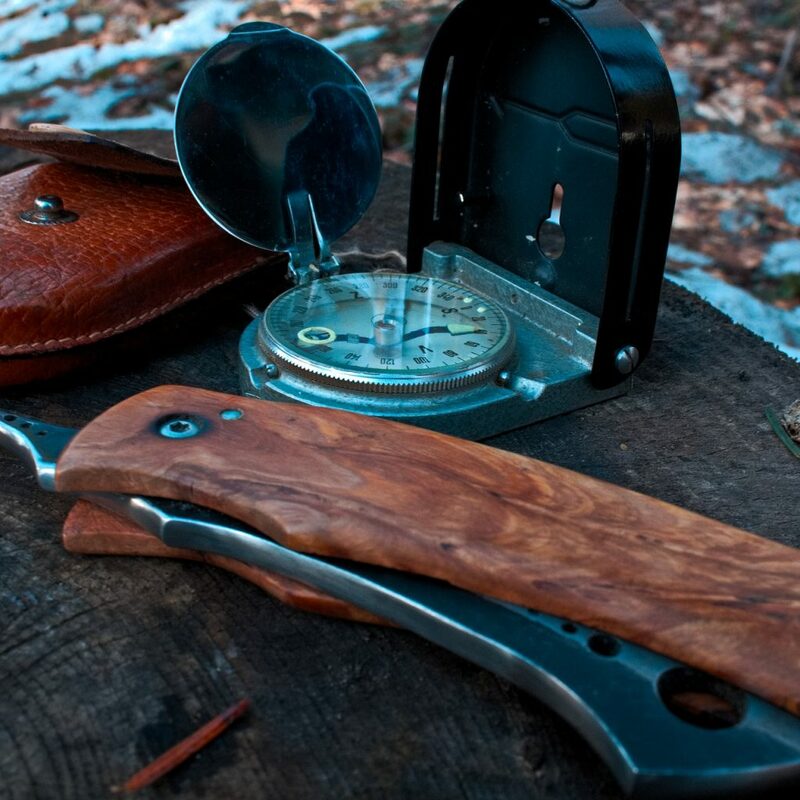 No one just ventures out into the forest without having some of the basic survival gadgets on hand. 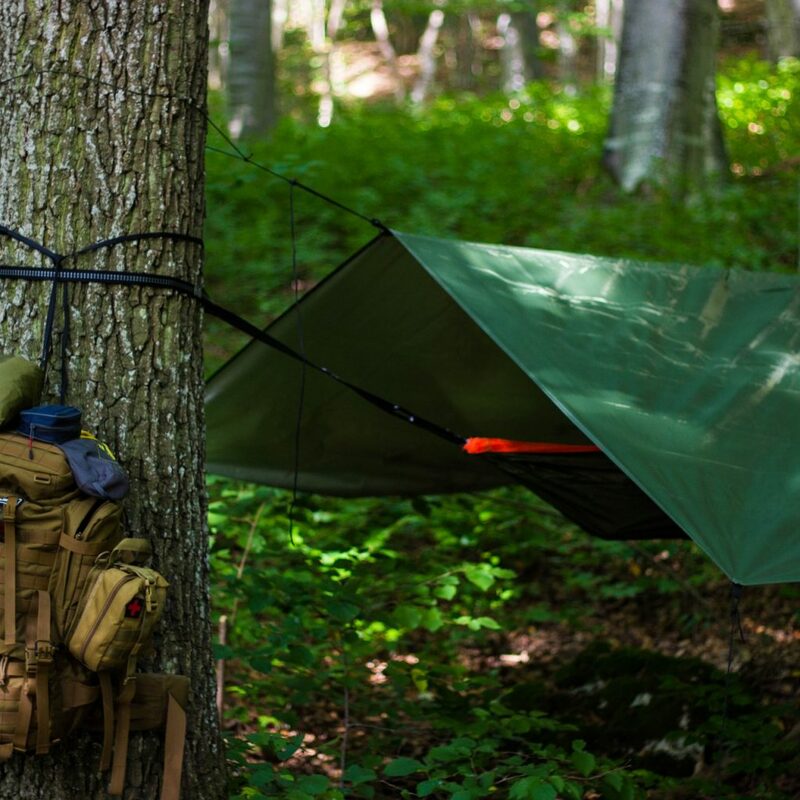 Brands like SOG makes a wide array of outdoor tools built to endure the unforgiving wilds. Check out the Baton Q3 for a versatile pocket multi-tool, the Entrenching Tool for a handy foldable shovel, or the Camp Outdoor Axe for a compact chopping tool. A fixed blade knife is an indispensable tool in the outdoors. We recommend KA-BAR knives for a classic USMC style fighting knife that will get the job done. Know how to craft tools. On the occasion that you don’t have any tools on hand, the next step is to create your own. Find a long, straight stick and craft a spear, a simple weapon that can improve your odds of catching fish or other small game. Either sharpen the ends with a wooden wedge or small stone to a point or alternatively, split the end to create a fork for a multi-pronged spear. Know how to make a fire. One of the most essential wilderness abilities you should have is knowing how to build a fire. A fire will be your source of heat and let you cook or heat up water. Raw materials for starting a fire like twigs, branches, dry leaves, and grass should be readily available in the forest. Without matches or a lighter, however, you’ll be hard-pressed to get the fire going if you don’t know how to start one without the help of such tools. Study up on some easy ways to start fires, like rubbing two sticks over tinder, or using a magnifying glass and using flint and steel. Google Maps won’t help you out in the wilderness. 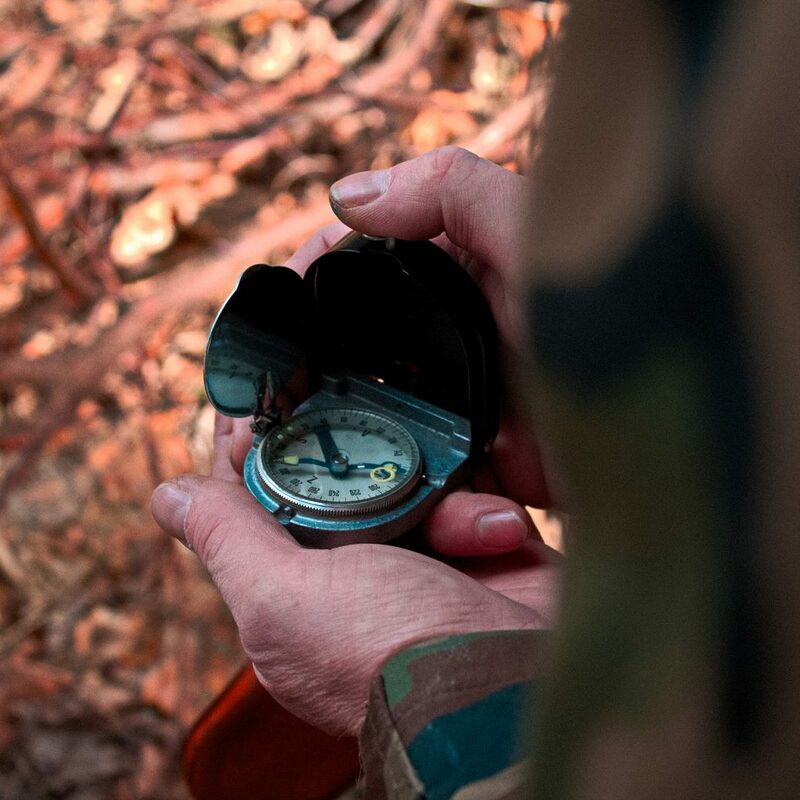 Use a compass to determine your location and plot out the direction you plan to head in. Even if you don’t have a compass on hand, you can make use of nature to signal the way. Remember that the sun rises in East and sets in the West – if the sun’s on your right in the later afternoon, then you would be facing South. Watch the plant growth, moss tends to predominantly grow on the north side of trees. At night, learn how to spot Polaris, the North Star. As long as you’ve got a good handle on navigation, you’ll find your way back to safety. Locate a clean source of water. Water is nature’s best resource. Staying hydrated is the best thing you can do for your body when you’re out trying to survive in the wild. If you’ve run out of water from your flasks and water bottles, your next best step is to find a source of water. Depending on the environment you’re in, you’ll find water in different places be it a river, a lake, a stream, or a spring. You can purify water with water purification tablets, filters, or by boiling it. Scavenging for food is your next priority after finding a clean source of water. Near water is the best place to look for food, where you’ll find a variety of edible wild plants. Before you set out, it’s best to familiarize yourself with which plants are edible and which aren’t. Building fishing and hunting traps is another option if you want to get some sources of protein for your diet. Find or build a shelter. If you’re looking to spend the night out in the woods with no tent on hand, finding or building a shelter is of utmost importance. A lean-to is the simplest design for a shelter, requiring a large fallen tree and using readily available materials like tree branches and leaves to build and expand the cover. If time is a constraint, opt for finding natural shelters like caves or rock overhangs. It should go without saying that you should never venture out for an outdoors trip without a first aid kit, but knowing some basic first aid is a good life skill to have, especially in unpredictable situations. Get an overview of first aid and outdoor safety skills before you set out. Know how to signal for help. Here’s where knowing how to make a fire can also help. Signal fires are an effective way of signalizing for help, as smoke can be seen from miles away. The universal distress signal is three fires in a straight line or in the form of a triangle. If you think you’re not too far off from others, make as much as noise as you can by whistling, shouting, and banging rocks to get attention. The most important thing you can do for yourself out in the wilds to stay calm. Panicking is the last thing you want to do when you want to survive. Maintain a positive attitude and know that with these survival skills you can get yourself out. With these 10 tactics under your belt, you’ll be well on your way to thriving in the outdoors on your next adventure. Grace is a copywriter at Gorilla Surplus. She moved to Vancouver at the age of 3 and grew up with a burgeoning love for the outdoors thanks to living in a city nestled by the ocean, forest, and mountain. When she’s not writing for work, she’s writing little stories in her head or on spare napkins in coffee shops. Next article Why is Health and Safety Essential?